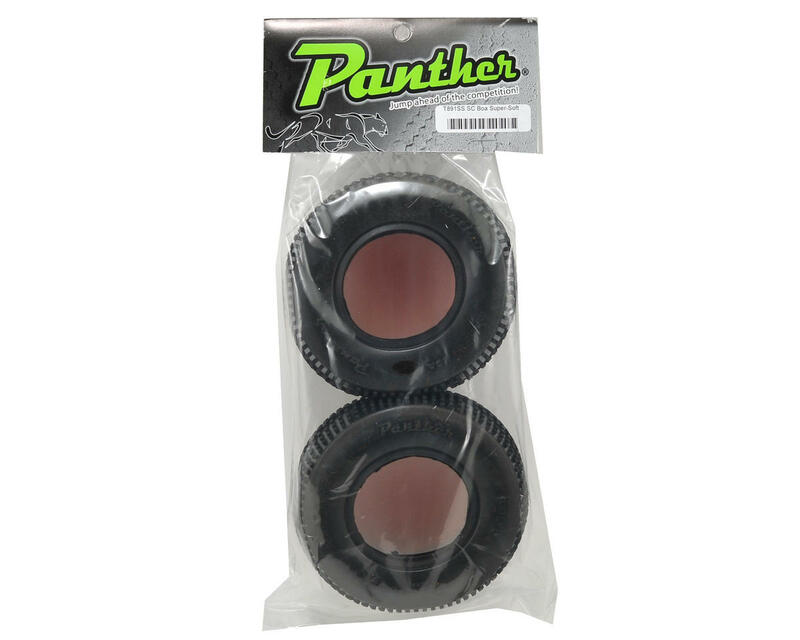 This is a set of two Panther Boa Short Course Truck tires. 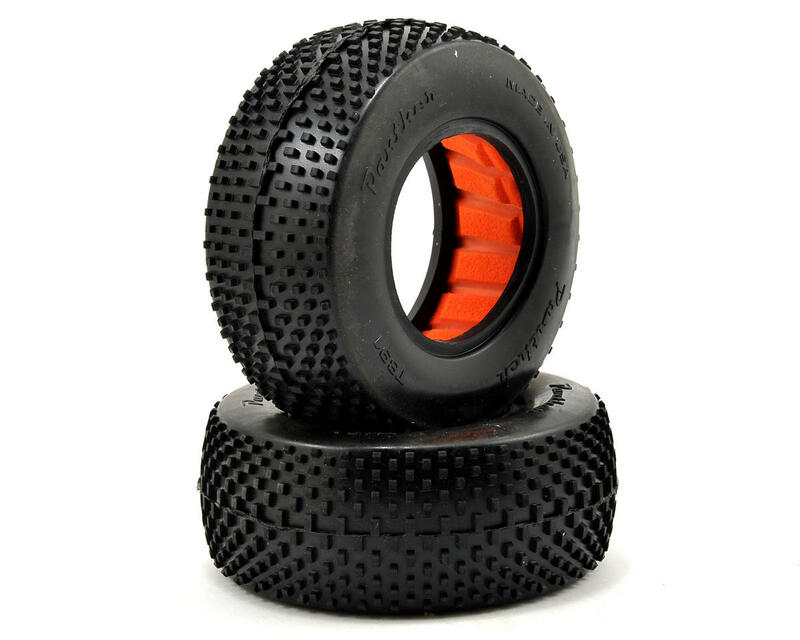 These tires fit on any standard 2.0/3.0 style short course truck wheel, and work great for both 2wd and 4wd trucks. The Boa tread pattern works best on loose and loamy tracks. The drier the track, the harder the compound of tire you should use (ie: soft when moist, med-soft when dry), and "Clay" compound is ideal for colder weather and or hard packed tracks. If your in a pinch trying to decide on which tires to go with, these are the go to tire that will do well on practically every surface. From loose loam, to hard pack dust, the Boa's with hold their own against all comers like old faithful. While they aren't much to look at, it's a deceiving tread with enormous forward traction side-bite. They are also great on wet/muddy conditions as well due to the wide spacing of the tread pins that won't clump up. A very under rated tire in my opinion. That being said, if your an aggressive driver that likes to come into corners hot or snap and whip your truck around, be warned! These tires will traction roll due to the soft side walls accompanied by the supplied soft inserts. The rubber of the super soft Boa's are so elastic like they ripple like a drag car tire! If you want the most out of these tires you will likely need more side wall support, I highly recommend buying AKA black medium foam inserts with a wheel like DE racing's speedline plus series. Try these tires, you won't be disappointed! Really cool tires for hard conditions like mixed off-road tracks. Great handling and durability. Also I like those orange inserts very much. Now use it for all my SC tire sets. i had these tires on front and rear of my xxxsct, when they came with yellow inserts, cant say much for the orange but they work really good. used at arc raceway in temecula, ca, which is rather dusty these worked really well. also am a basher, so in the sticks/grass on a 2wd these ae really good as well. im about to throw them on my sc104x4 .. great for the money cant go wrong!